Whether you’re documenting PCI compliance, trying to understand a current environment, or designing a new system, mapping out your AWS architecture can be crucial, if not absolutely necessary. Unfortunately, doing so can be tricky, time-consuming, and frustrating—if you’re dragging your feet when dealing with your AWS infrastructure, you’re not alone. We know because our own engineers understood this pain all too well. They used to spend two days diagramming PCI compliance, only to have all that work become out of date almost immediately. They decided enough was enough and took matters into their own hands. The Lucidchart AWS import feature was born. Forget wasting hours and days on one stubborn network diagram. This powerful tool helps you create one within minutes, even if you know absolutely nothing about the current environment. So how does the magic work? Once you import your AWS architecture, Lucidchart uses AWS APIs to collect metadata from EC2, RDS, S3, Cloudfront, SQS, and more. Using security groups, IAM roles, and other information, the tool can infer relationships between instances. You’ll have a custom library of all your AWS network components waiting for you in Lucidchart. Just drag and drop shapes onto the canvas and watch them automatically connect. Explore your infrastructure by navigating the connections for each component. Just like that, you’ll be able to view details about these connections so you can easily audit network access, and you can view additional metadata about each component in the editor. Once your diagram is put together, you’ve got the full functionality of the Lucidchart editor so you customize it as much as you’d like. 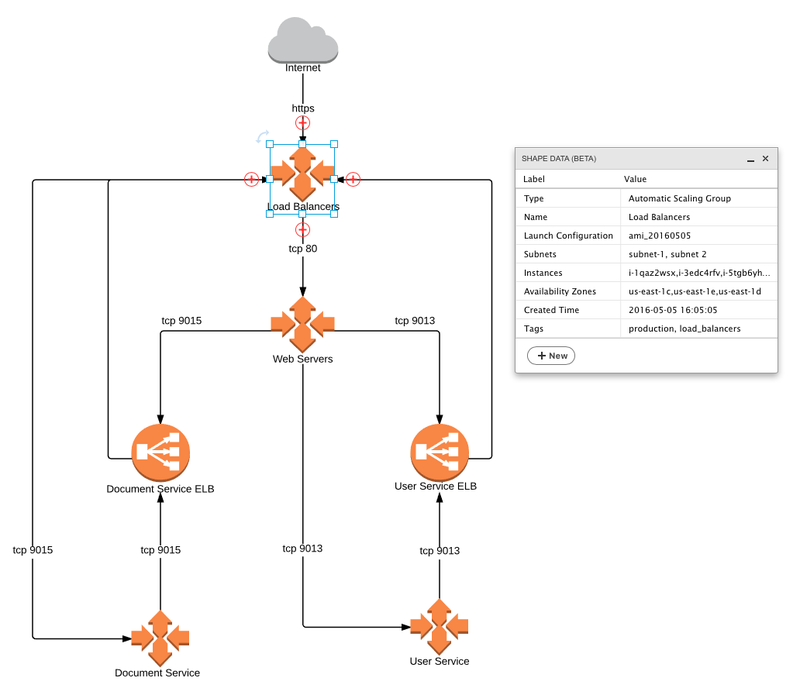 Even if you don’t need to import your own AWS architecture, you should still take advantage of our existing AWS shape libraries and drag-and-drop functionality to easily create network diagrams in no time. Obviously, we’re pretty big AWS fans—and that’s why we’ve got a week booked in Vegas at the end of this month. Mark your calendars November 28 through December 2 and join us for the AWS re:Invent conference in Las Vegas. The Lucid team will be set up and waiting for you at booth #900. We’ll have plenty of swag—because what’s a conference without it—free Lucidchart t-shirts and water bottles, plus a raffle for some awesome prizes. 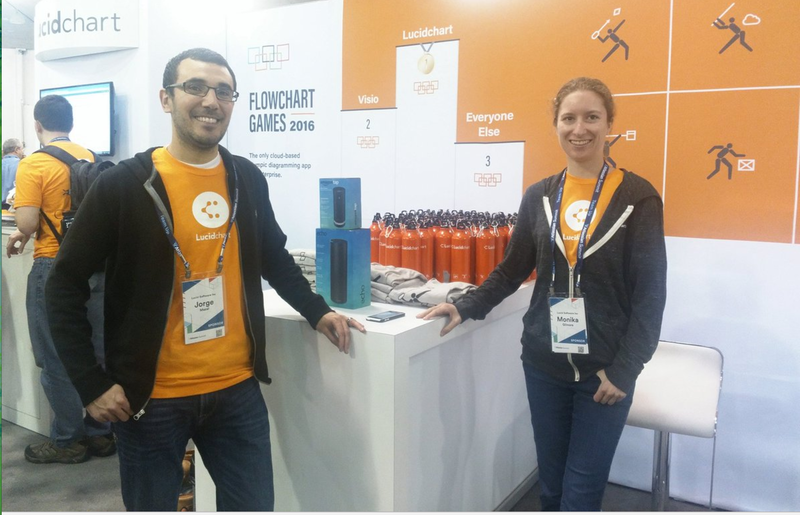 Reserve your free Lucidchart t-shirt here in your selected size. We’ll also be giving attendees access to an extended premium trial of Lucidchart with AWS features so you can get diagramming at absolutely no cost! But we want to see you for longer than five minutes. Sign up for a 30-minute private meeting with one of us for an exclusive look at our AWS integration. See it in action and learn what Lucidchart can do for you and your organization. And finally, come party with us! We’ll have a VIP reception Tuesday, November 29th. Make dealing with your AWS architecture a cinch rather than a chore. We’ll see you in exactly 13 days. But who’s counting? 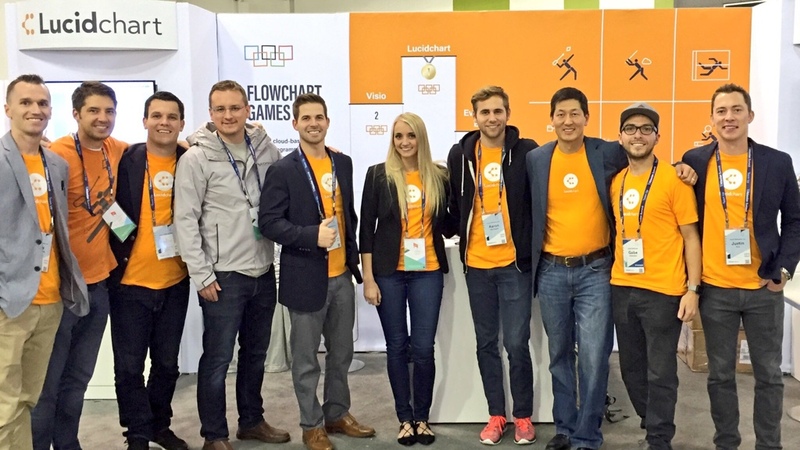 Sign up for Lucidchart today to start exploring our AWS functionality!